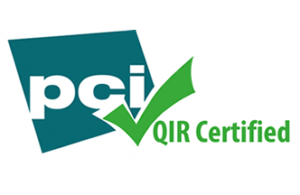 SalePoint, Inc. is pleased to announce that it has been certified as a Payment Card Industry (PCI) Qualified Integrator & Reseller (QIR). A Qualified Integrator & Reseller is an organization that is authorized by the PCI Security Standards Council to “implement, configure and/or support” PA-DSS payment applications. The PCI Council lists all QIRs on its website (https://www.pcisecuritystandards.org/assessors_and_solutions/qualified_integrators_and_resellers). Merchants categorized as Level 4 must use PCI-certified QIR solution providers for their POS systems. What is a Level 4 Merchant? Visa defines Level 4 Merchants as merchants that process fewer than 1 million Visa transactions in-person or 20,000 ecommerce Visa transactions per year. Some of the guidelines include: ensuring that authentication data (i.e., PIN numbers, CAV2, CID, CVC2, CVV2) is never stored after authorization; providing guidance to merchants regarding secure deletion of expired cardholder data; and implementing protection for payment applications using wireless technology. Several employees of SalePoint completed the training course and passed the examination for PCI QIR. “Data security is a key concern of companies processing credit card transactions today. Following the PCI Security Standards Council programs and standards allows SalePoint to assure its clients that their payment processing implementations meet the latest security standards and are implemented by trained individuals,” said Larry Haworth, CEO of SalePoint.